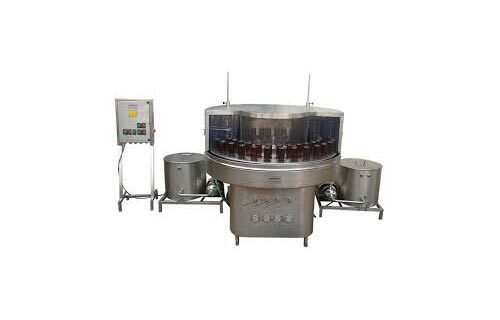 Application : Washing pet/glass bottle for pharmaceuticals, Food & beverages industry. This is compact & versatile GMP Model. Specially designed Geneva based mechanism for rotary start/stop operation. 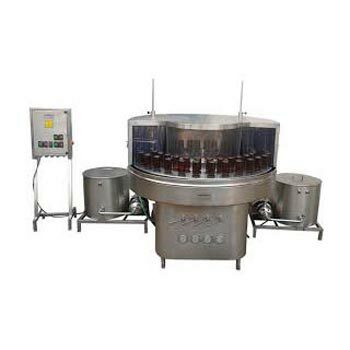 High capacity centrifugal pump to wash bottle. 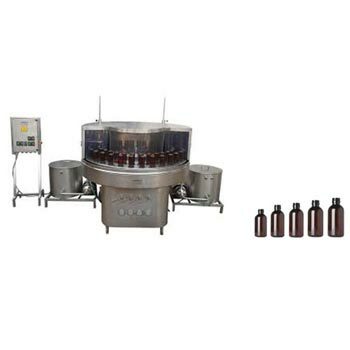 Specially designed bottle cup for easily loading/unloading bottle. Individual control valve for wash pressure setting. Separate SS 304 operating panel. Wash the bottle in one external wash & four internal wash. Separate pump & motor for easily clean & maintenance.